Is your Presto Pressure Cooker leaking? Is your pressure cooker not building any pressure any more? 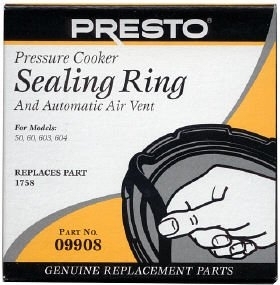 You probably need a new Presto pressure cooker gasket. 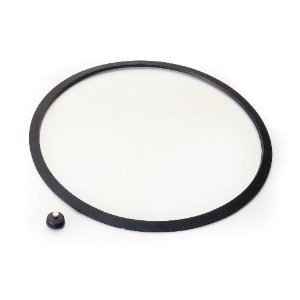 This rubber sealing ring (9908) fits several of the 6 quart cooker models. This gasket comes with a new over pressure plug, and will get your cooker back into service. Be sure to make certain that you have removed all of the original gasket material from the lid of your cooker before installing your new sealing ring to ensure a proper seal and fit.